Yan was found walking on the Himalayas, by Monks. He was all alone no one knows from were he came but there he was stanbing on the snow with his eyes blindfolded. The Monks tried to take the bandages from his eyes but he refuse and told the Monks that they were his punishment and he should never take them off. 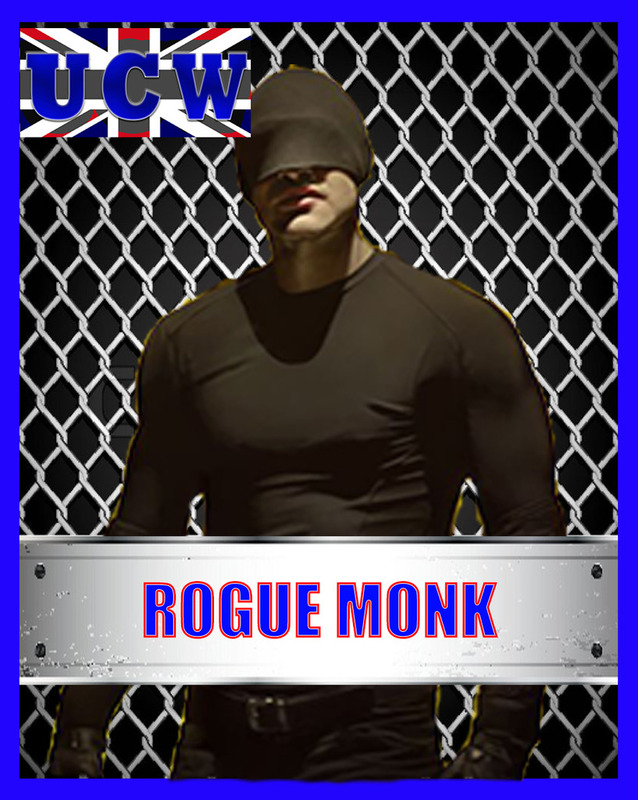 As he grew up he mastered different martial and learned to live under the monks code but that was not enough for him, but something was missing in the life of the monastery so one night under the cover of of the night he escaped to wonder the world looking for his true path. During his journey he try to teach what he learned at the monastery but he always ended up fighting. That's how Yan realised that his path was on fighting after that he joined different wrestling promotions until his arrival to UCW. "The path of the penitent"
and lands on him with a The path of the penitent! Monk is great to have you with us! Do you have a picture of a real person that you could use for your card as I don't use animated, trying to think of someone who has cloth over their eyes in a film or something? I will try to find something, if not i will choose another image and change the bio to adjust the new image.